Arrive in Hanoi and enjoy a day of leisure or an optional city tour. Transfer to World Heritage-listed Halong Bay for an overnight cruise through thousands of limestone islands on a traditional “junk”, explore caves, kayak in secluded lagoons, or sunbathe on the deck. In the evening enjoy a seafood dinner before retiring to your cabin for the night. Depart unique Halong Bay for the quaint, picturesque fishing village of Hoi An. Best known for its beautiful beaches, tailor shops, cafe and inspirational Chinese, Japanese and French influenced architecture, this is a place where you can truly unwind, cycle to the beach, get silk dresses and suits tailor made or enjoy an optional cooking class. Go on a guided tour of the rambling streets, cafe, markets, shop and galleries. Two days of leisure in this charming town will give you ample time for tailoring chothes and relaxing on the beach. Refreshed from your relaxing break in beautiful Hoi An, travel to the beach town of Nha Trang, Vietnam’s premier beach destination. 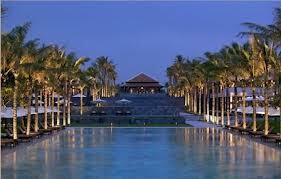 Check into the resort and go on a mini tour of Nha Trang’s highlights and surrounding countryside. With its turquoise sea, golden sand and blue skies it’s tempting to spend a day relaxing on the beach, but for those who can tear themselves away from their sun lounges, there is the option of a day trip to off shore islands offering the opportunity to go snorkeling, swimming and diving. Fly to HCMC and soak up the hustle and bustle with a guided tour. Option to visit the famous Cu Chi Tunnels used during the Vietnam/American War, or alternatively, spend the day cruising down the Mekong River on a traditional sampan, taking in the floating markets and lush, tropical landscape. Fly to Phu Quoc Island, a quiet, laid back, beautiful island off the coast of Cambodia (but Vietnamese territory). Check into the resort, relax on white sandy beaches or go cycling arround the island. Pure leisure time to relax and enjoy the sun, sand & sea.